1. 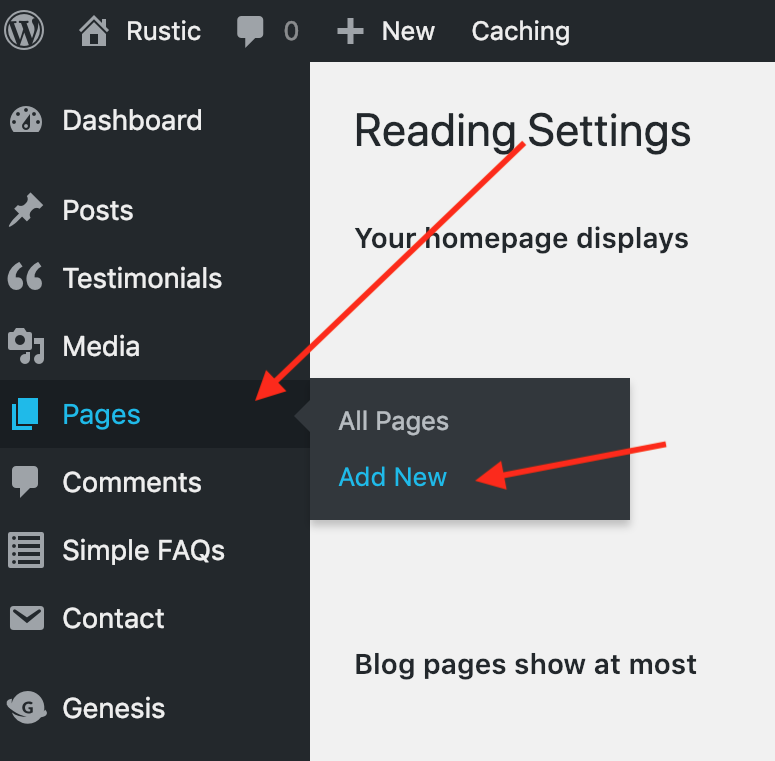 To set up page for your blog, first create a new page called "blog" by going to Pages > Add New. Don't add any content on the page. 2. Then, go to Settings > Reading. 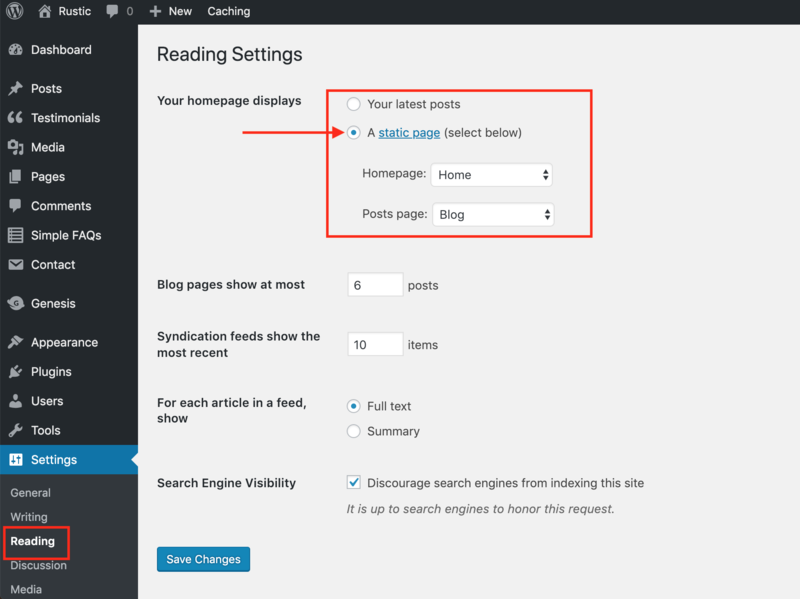 Choose a static page and set your homepage as home and your post page so your new blog page. That's it! 3. Now, go to Customize > Theme Settings > Content Archives and choose the settings you'd like your post to display in. Here's what we used. 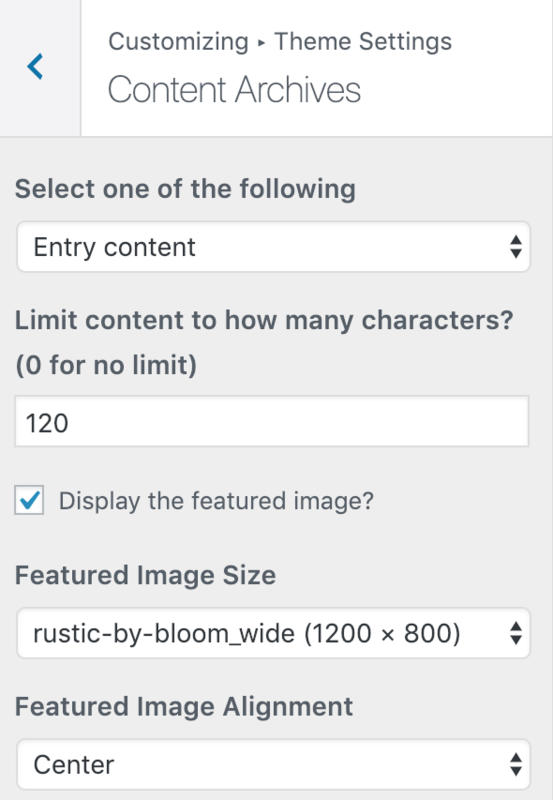 Tip: Don't overlook this part because you can choose how posts across the page there are, where the featured image is located, how many characters, the size of the featured image, etc. You can really design your own look!